Home / Muscle Cars / 2015 Dodge Charger SRT Hellcat: The Most Powerful Sedan In The World! 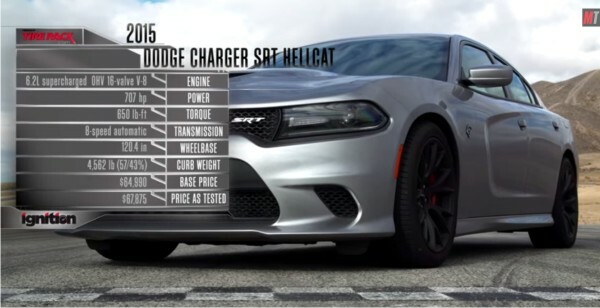 2015 Dodge Charger SRT Hellcat: The Most Powerful Sedan In The World! Similar like a Challenger Hellcat, in this 2015 Dodge Charger SRT Hellcat is packed staggering 707 hp from the 6.2-liter turbo V-8. It is as absurd as it is functional, thanks to the two extra doors and a comfortable back seat.